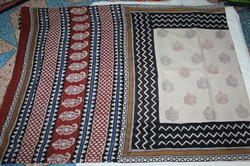 We are one of the leading manufacturer, supplier, exporter & wholesaler of Cotton Sarees. 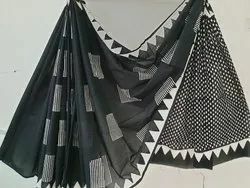 Our other product range is Screen Print Bedsheet, Suit Set Chiffon Dupatta, Screen Print Dress Material and many more. 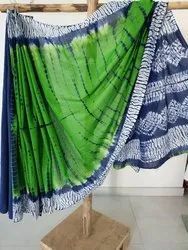 We are a trusted name in the industry for manufacturing and supplying Designer Cotton Saree, which has earned us a huge clientele in India and abroad. 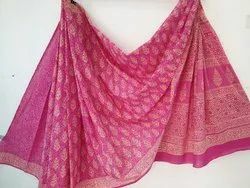 The saree is unparalleled in design and is resistant to wear and tear for being made from high quality cotton. Being color retaining and skin friendly, it is ideal as a daily wear. Our product range is made in compliance with the norms of the international standards. 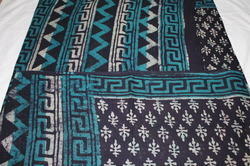 We have set a benchmark in the industry as the manufacturer and exporter of Printed Designer Cotton Saree. 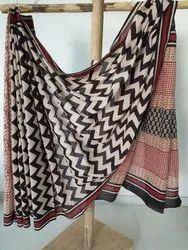 Our range of sarees is extensive and interesting. 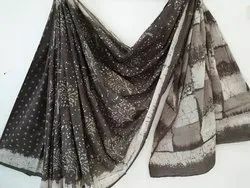 The designs are a fusion of ethnic and modern patterns and have been crafted in appealing shades of colors for enhancing the looks of the saree. 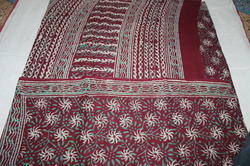 The printed saree is color fast and made from high quality cotton as it is resistant to wear and tear. 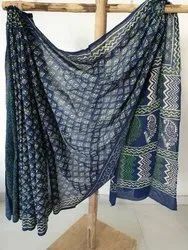 We are among the distinguished names in the industry for manufacturing and exporting Printed Cotton Saree. 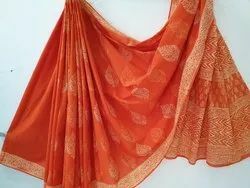 The saree is impeccable in looks and is made from high quality cotton sourced from an authentic vendor base. It is color retaining, skin friendly and soft. Being resistant to wear and tear, it is ideal as a daily wear. We are specialized for handling bulk orders owing to our warehousing. 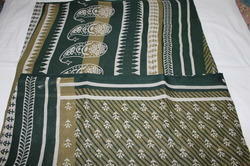 Our organization is engaged in manufacturing and exporting Stylish Cotton Sarees. The product has earned us huge profits and loads of appreciations for being exceptional in durability. 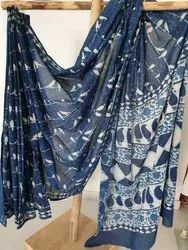 It is made from high grade cotton in sophisticated manufacturing facility equipped with cutting edge technology machines. 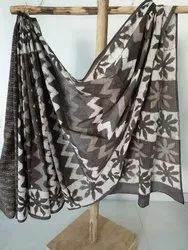 The fabric is color retaining, skin friendly and extremely soft. 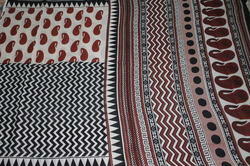 We are known for timely delivery of orders. 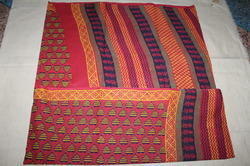 We are engaged in manufacturing and supplying Cotton Saree. 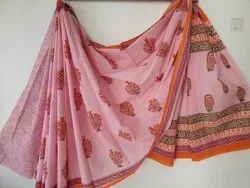 The saree is regarded for its durability and color fastness. 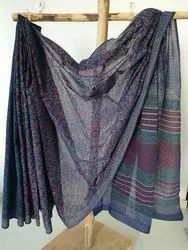 It is easy to wash, wrinkle free, soft and attractive in looks. Our product is made from high quality cotton for being skin friendly and is ideal for daily wear. We are well equipped for handling bulk orders and are prompt with deliveries. Our product range has earned us huge profits. 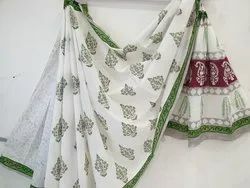 We are a trusted name in the industry for manufacturing and supplying Designer Cotton Saree, which has earned us a huge clientele in India and abroad. 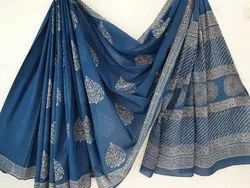 The saree is unparalleled in design and is resistant to wear and tear for being made from high quality cotton. 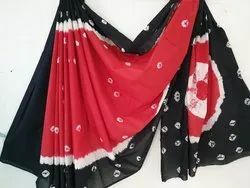 Being color retaining and skin friendly, it is ideal as a daily wear.Our product range is made in compliance with the norms of the international standards. 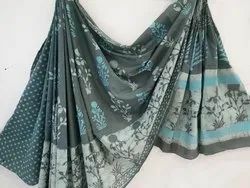 Our organization is engaged in manufacturing and exporting Stylish Cotton Sarees.The product has earned us huge profits and loads of appreciations for being exceptional in durability. 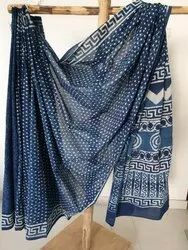 It is made from high grade cotton in sophisticated manufacturing facility equipped with cutting edge technology machines. 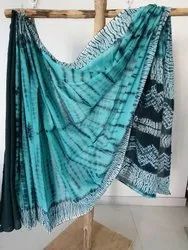 The fabric is color retaining, skin friendly and extremely soft. We are known for timely delivery of orders. 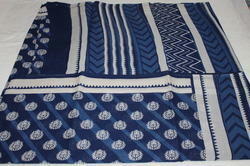 We are among the distinguished names in the industry for manufacturing and exporting Hand Block Printed Cotton Saree. 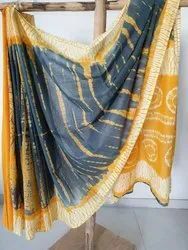 The saree is impeccable in looks and is made from high quality cotton sourced from an authentic vendor base. It is color retaining, skin friendly and soft. Being resistant to wear and tear, it is ideal as a daily wear. We are specialized for handling bulk orders owing to our warehousing. 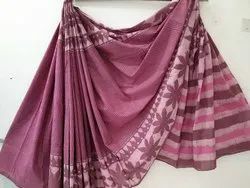 We are engaged in manufacturing and supplying Cotton Saree.The saree is regarded for its durability and color fastness. 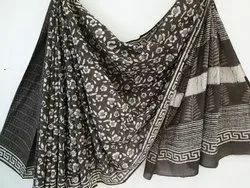 It is easy to wash, wrinkle free, soft and attractive in looks. Our product is made from high quality cotton for being skin friendly and is ideal for daily wear. We are well equipped for handling bulk orders and are prompt with deliveries. Our product range has earned us huge profits.